Every year, the Northwest Challenge Men’s division improves in strength of field. This year, South Central and Southwest competitors are making the trek to the Seattle area to earn bids and defend them. Plus: an exciting new format! Dear ultimate player, are you exhausted at the thought of pool play? Does the thought of a full round robin weekend leave you uninspired? Have you been searching for a way to re-rank and determine which teams really had the best weekend so far, without ‘what-if’ing your way through each squad’s strength of schedule? Do you have your pen ready to check the all of the above boxes? 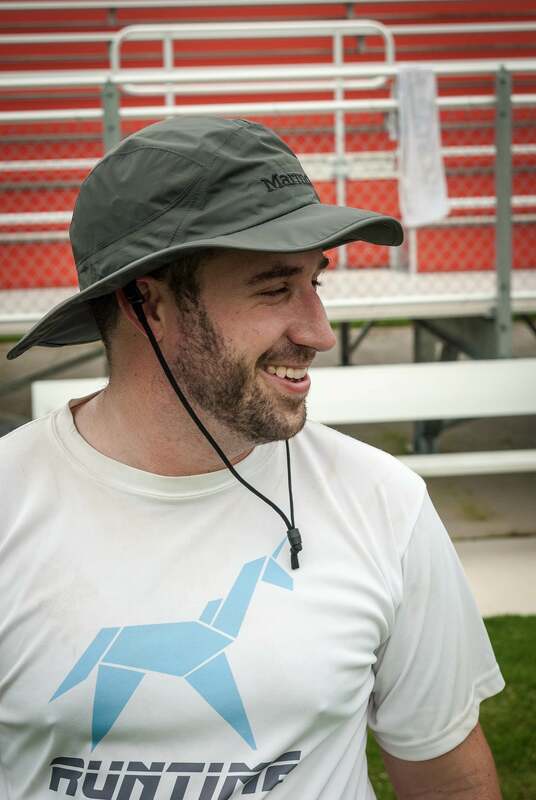 Then try new Northwest Challenge’s Your New Format, brought to you by DiscNW in partnership with Ultiworld’s Resident Rankings Expert Cody Mills and blessed by USA Ultimate! Available now for Men’s Tier I in 2018! The brainchild of seasoned tournament directors Kyle Weisbrod and Derek Mourad, this brand new competition format marries the predictability of a match play schedule to the robust ranking capability of the USAU algorithm—what a potent pairing! After teams complete their set schedule (one or two days depending on the team), all results will be run through the rankings algorithm by Mills to determine the weekend’s top four performers, who will head off into the championship bracket. The remaining eight teams will be split into two more tiered brackets. As the men’s first tier grew to 13 viable competitors this past winter, Weisbrod and Mourad were faced with some scheduling and formatting challenges. While some teams committed to the three-day weekend, others could only attend for two. That included BYU, who’s two-day schedule is Friday-Saturday, as opposed to Saturday-Sunday. Teams in the field preferred a bracket to finish out weekend competition. BYU’s Saturday departure guaranteed a remaining field of 12 on Sunday, which could be re-sorted into competitive tiers. After approving the algorithm idea with both Mills and USAU, the format was born. Those are the all-natural ingredients that make Your New Format possible this upcoming weekend! It’s an exciting elixir that’ll hopefully expand to more flavors in the future—as long as the results don’t produce long-lasting side effects! Let’s look at the brave teams selected for YNF trials this weekend in Seattle and Burlington, WA. Can The Southwest Play Into A Second Bid? A refreshing dose of solid play this weekend could salvage the Southwest’s projected bid allotment, which is currently one. Stanford Bloodthirsty and USC Lockdown have both shown moments of promise, able to hang around and get wins over teams that have already proven themselves in the season’s Power Rankings. Both have only played two tournaments so far this season, so Northwest Challenge presents an opportunity to move up past the bid cutoff with wins. Likewise, bad losses this weekend will sink their hopes for more tickets to Milwaukee over Memorial Day. Stanford Bloodthirsty have four new West Coast opponents to take on this weekend in their search for a rankings jump. Of their set five-game schedule, they have only played BYU, who they beat in a double game point showdown three weeks ago at the Stanford Invite. Though the playbook is tested and the talent floor has risen for Bloodthirsty, they’ve yet to find the consistency this season. They need more efficient holds from the O-line against a field full of zone and hybrid defensive looks that could take them out of their patented vertical pull plays. Tournament-favorite Oregon is the only opponent on Stanford’s schedule this weekend that’s really favored person defense this season and that’s because Ego’s high defensive IQ and fast-twitch switching have generated pressure and blocks against the nation’s best so far this season. Injuries have also slowed Stanford’s 2018 progress so far; both Gabe Hernandez and Nick Hirning were limited at Stanford. With a few weeks of recovery time since Stanford, they could find more defensive strength against teams like BYU, UBC, and Oregon State—all of whom will look for deep scores early and often. Western Washington and Oregon present more balanced attacks. Stanford has two games on Friday and three on Saturday before getting their results re-run through the algorithm. USC has had an even longer break than Stanford. 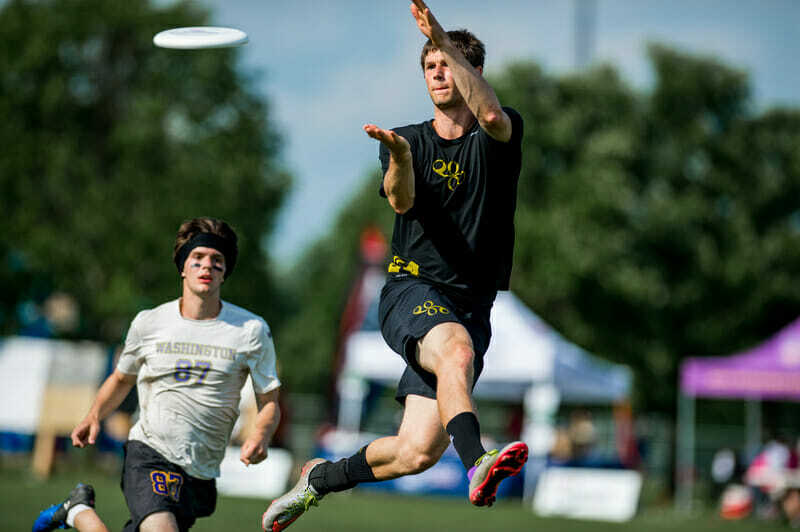 Out of action since Presidents’ Day, Lockdown has had ample time to let the experience of some tight wins and losses this season sink in for the younger players. For the junior-heavy O-line, the break has provided recovery time. Lockdown makes the trip north for only two days, so they’ll get a normal Saturday when the arrive: four full games against stiff competition. They’ve yet to face any of UBC, Colorado State, BYU, or Tulane. The first three opponents will put the athletes of the USC O-line on notice with a mix of good scheming and step-for-step defense. Plus, it’s late in the season. D-line offenses tend to be more efficient. Mistakes at Northwest Challenge will cost Lockdown more than they did two months ago at the Santa Barbara Invite. Sam Cook and David Sealand won’t be able to do all the work against teams that have them scouted, so expect USC to attempt to score through other contributors and aim for short-field opportunities created by their sticky zone look. Just like Stanford, the combination of wins and close losses could equal a leapfrog past the bid cut off. California UGMO will also be in the mix this weekend, but Northwest Challenge will represent only about a quarter of their regular season rankings score. The team has played nearly a dozen more games than USC and Stanford, so a fluctuation good enough to shoot them up the leaderboard would require some pretty incredible results. UGMO looked out of their league at Stanford Invite a few weeks ago. Northwest Challenge is a good opportunity to end the regular season on a high note before angling for a bid-stealing performance in the postseason. Colorado State Hibida are in the South Central driver’s seat after a fairly strong performance at Men’s Centex two weeks ago. Colorado Mamabird sit precariously at the bid cutoff line. The wrong losses for Mamabird could easily make the South Central a one-bid region, perhaps to the benefit of the Southwest. Colorado State Hibida are also signed up for the two-day affair this weekend. They’re set for a full Saturday against USC, BYU, Oregon, and California. After a windy trip to Austin, Hibida has had the chance to test their strengths when conditions go awry. And that’s just where the weather tends to go in late March at this tournament. Previous years have run seen all combinations of sunshine, wind and sunshine, rain, heavy rain and wind, and mud. Poor conditions or not, Colorado State has been working a slow build toward the postseason. On both lines, the hucks have come from roughly the right spots and generally the right time, although they’ve experienced some growing pains initiating some of those deep looks from cutters coming out of the stack instead of out of the backfield. The defense has had to contend with the rest of the division scouting out force middle. With many more throwers looking to find the break side with inside looks and give and go moves, Hibida doesn’t need a new scheme so much as they need strong marking. They should match up well against USC and California, while BYU could test their athleticism and Oregon will pour the pressure on. Hibida has the athletes, talent, and gameplanning to do well this weekend. Speaking of athletes, Colorado Mamabird is stacked with them. In spite of a rocky win-loss record so far this season, scoring against Mamabird’s D-line is still difficult. It’s the offense—from both lines—that’s needed lots of work. As mentioned previously, Colorado is defending a second SC bid this weekend. They sit just above the cutoff. Now would be a great time to have some injured players return and for the offense to start clicking. They have the schemes to keep opposing defenses guessing and the grittiness to create turnovers, but they need discipline to string the right set of passes together to create scores. Colorado will have to contend with two deadly-efficient offenses on Saturday: Victoria and Washington. Against the former, Mamabird should have a shot to get their D-line on the field if they can create turns on in cuts. Facing the latter, they’ll need sticky defense all over the field to slow a multi-faceted Sundodger offense. It’s certainly the time of year that teams start to figure stuff out, so don’t be too surprised if Colorado’s potential starts to change from a shimmer into a more solid figure this weekend. Then again, if they decide to keep shooting for same-third hucks and not watching the disc all the way into their hands on in cuts, it could be another uphill weekend for Mamabird. Western Washington Dirt also return to action this weekend. They’ve taken the same long break as USC since Presidents’ Day. Injury-wise, that’s a good omen—especially since they’re down from Bellingham for the three-day schedule. It’s easier on the legs, if not a bit more demanding mentally. Dirt bucked their all-vert all-the-time look this year in favor of offensive variety. Morgan Higgins has led the O-line well through both vertical and horizontal approaches, while Dennis Casio has of late been stewarding the D-line. Their supporting casts are well-schooled in their roles, but the sparks haven’t quite flown against the best of the best. Western’s managed a fifth place finish at both their tournaments so far this season. With BYU, Stanford, Victoria, and Tulane all on the schedule for Friday and Saturday play, each of their games feels within reach. They have a nice 13-10 win over BYU on the record from Santa Barbara Invite. They have the patience to work through Stanford and the talent to step to Victoria’s O-line. Tulane hasn’t seen tougher competition than a few higher-tier games at Centex. Western’s even closer to the bid cutoff than Stanford and USC, sitting at #20 in the USAU rankings. A smooth weekend here could make thee the fourth Northwest team in bid territory1. Speaking of which, BYU is on track to earn the Northwest a bid again in 2018. Northwest Challenge has served as the final true tournament for this team every year, but they’ve sent squads to day one of Conferences and competed. Last year, per rule adjustments, that kept a bid in the Northwest. It may very well be that way again in 2018. Is the Field Competitive Enough for Oregon and Washington to Keep Improving? Oregon Ego and the Washington Sundodgers have played a cut above the rest of the field. Ego have one loss on the season—the recent double game point thriller against #1 North Carolina Darkside. The Sundodgers took some losses on the chin at Presidents’ Day, but recovered nicely at Stanford to take fourth right behind Ego. Neither team stands to lose much in terms of postseason position this weekend, presuming they play to their potential. Oregon has the speed and intensity to beat the rest of the field on in cuts, while Washington has a high-IQ approach, backed by a wealth of talent that leads them into most games well-prepped to find opponents’ weaknesses. These two teams get the stadium treatment Friday night, under the lights at Memorial Stadium in Seattle Center. While they may very likely play again in a tournament final on Sunday, consider that showcase game a chance for both teams to play with the pressure of a live crowd—a game that’ll feel closer to a quarterfinal at Nationals than it will like a regular season sparring round. Comments on "Northwest Challenge 2018: Tournament Preview (Men’s)"